Aran with hearts motif made by Bonnie Barker. 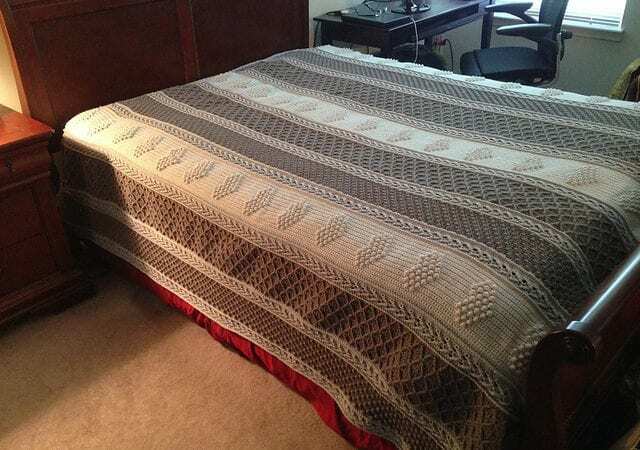 Start now or save for later this absolutely amazing crochet project. It’s so much fun! Aran Hearts Afghan – the Free pattern from RedHeart is here. Find out on Ravelry the details. Join us to get more inspirations ->> our Facebook group.